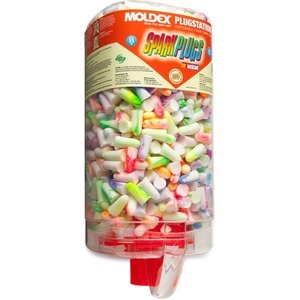 Foam earplugs feature a random, multicolor swirl design. Extra soft foam and tapered shape fit snugly and comfortably. NRR 33 rating makes them suitable for most noisy environments. Earplugs are tested to ANSI S3.19-1974.